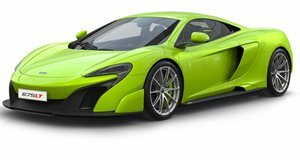 The McLaren 675 LT coupe was built in a batch of 500 in 2016 and came equipped with the groups familiar 3.8-liter twin-turbo V8, which in this application produces 675 hp and 515 lb-ft. A revised 7-speed dual-clutch transmission sends the power to the rear wheels. Performance levels are towering and the 675 LT really shines on the track thanks to a lightweight bodyshell and superb chassis. Standard specifications include carbon-ceramic brakes, an Alcantara interior with touchscreen infotainment system and the range of available options extend from a 10-speaker Meridian audio system right up to a fully personalized vehicle. 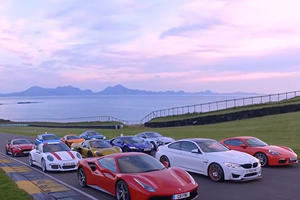 The world of supercars is an ever-changing landscape, McLaren automotive have done their part with an ever-growing range of powerful sports cars. One of the very best has been the 675 LT, derived from the already impressive 650S, it is lighter, more powerful and even faster around a race track. Introduced in 2016, the LT stands for ‘Longtail’ and was inspired by the LeMans winning 1997 F1 GTR Longtail. The 675 LT was a ‘Super Series’ model which places it one level below the P1, a mere 500 coupes were built and you will need deep pockets to acquire one today. There are details changes to the 675 LT on the inside compared to the 650 S and the center console, door trim and switchgear are all shared. The Alcantara coverings and carbon-fiber detailing are all top quality. The dihedral doors make it easy to get into the low-slung cockpit and the seats offer good support but long periods behind the wheel can get a bit uncomfortable. There is not much room for storage but there is space for a few small items in the front trunk. Featuring McLarens advanced suspension setup, the 675 LT is far more supple over bumps and ridges than just about any other super car with this level of power and handling ability. All aspects of the suspension and steering have been fettled to offer more driving engagement and immediacy to inputs. The carbon-fiber MonoCell, increased downforce and super sticky tires give the 675 LT a feeling of solidity and levels of grip that few other vehicles can match. The window glass is also slightly thinner and the weight-saving measures save over 200 pounds over the 650 S although this does make the 675 LT a little less refined on the highway, tire roar is a constant companion but few will complain about the exhaust noise from the lightened titanium exhaust and what would be the point of a silent super car anyway? The 650 S’ 3.8-liter twin turbocharged V8 receives bespoke camshafts, turbochargers and numerous other updates to help boost power to 675 horsepower and 515 lb-ft of torque in the 675 LT. The 7-speed dual-clutch transmission also gets revised software to effect gearchanges that are twice as quick as before. Despite the traction disadvantages of rear-wheel drive the 675 LT gets to 60 mph in under 3-seconds and pulls ferociously through the gears to its 205 mph top speed. A handful of the latest performance machines such as McLaren’s own 720 S may be quicker still, but the 675 LT is still indecently fast and its abilities around a track are up there with the very best. As this model is no longer available new, the specification levels you get will be dependent on what the previous owner chose. You are still able to send your car back to McLaren to customize it if you wish and it is worth knowing what standard and optional equipment were available when the car was new. Despite the focus on lightness and performance you still get a well-equipped car and standard equipment includes an Alcantara-clad interior, touchscreen infotainment system and rearview camera. Performance specifications include carbon-ceramic brakes, McLaren Track Telemetry App with optional cameras, lightweight titanium exhaust and uprated suspension. Options include a 10-speaker Meridian audio system, full leather interior and a broad range of paint and trim offerings. 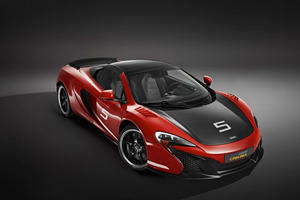 The McLaren Special Operations (MSO) division also offered a totally bespoke customization experience for a price. Non-federal markets also had the option of a Club Sport pack which includes a titanium roll hoop, four-point racing harness and a fire extinguisher. Built only for a single year and already outpaced in a straight line by newer offerings, at first glance the 675 LT seems to have been eclipsed before its time. On closer inspection, its lightweight body, bespoke engine and suspension components and a towering on-track performance reveal the 675 LT’s true strengths. Technology does move at a fierce pace at the sharp end of the sports car grid but the limited edition 675 LT offers real engineering integrity and it will remain a high-point in McLarens range for a long time to come. McLaren's new customization range brings cosmetic and performance enhancements to the 12C, 650S and 675LT. How Can This BMW 135i Keep Up With A McLaren 675LT? Further proof that money does not equal skill. Or maybe the US testers should have added the winners to the comparison.